Cam Rahn Naval Base in Cam Rahn Bay is the home port for the Vietnamese Navy’s 4th Regional Command (D Regional Command). It manages the South China Sea, south central coast including Spratly Islands, Phú Quý island and the south central coast, from Phú Yên to Bình Thuận. Cam Rahn was used by the US during the Vietnam War. Four years after the fall of Saigon, it became a base for the Soviet Pacific Fleet. 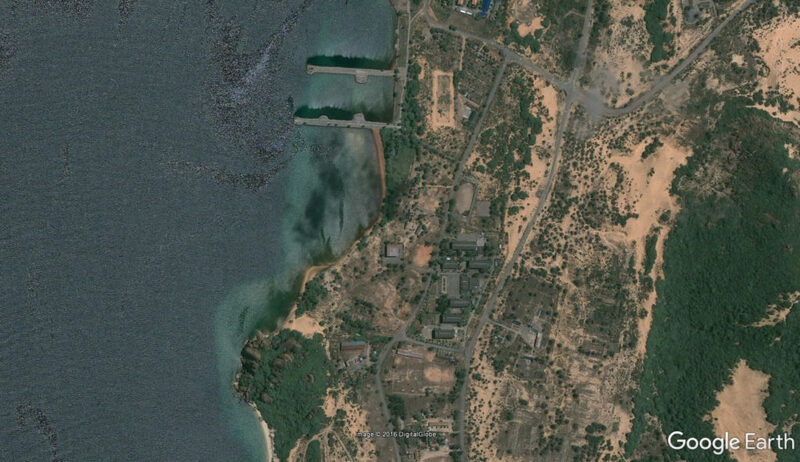 It become the largest Soviet naval base outside of the Soviet Union. However, at the end of Russia’s 25 year lease commitment, Vietnam increased the annual rent to $200mm, which led to Russia’s withdrawal from Cam Rahn. As of October 7, 2016, Russia is reportedly reconsidering returning to Vietnam. This would provide them with immediate access to the South China Sea. 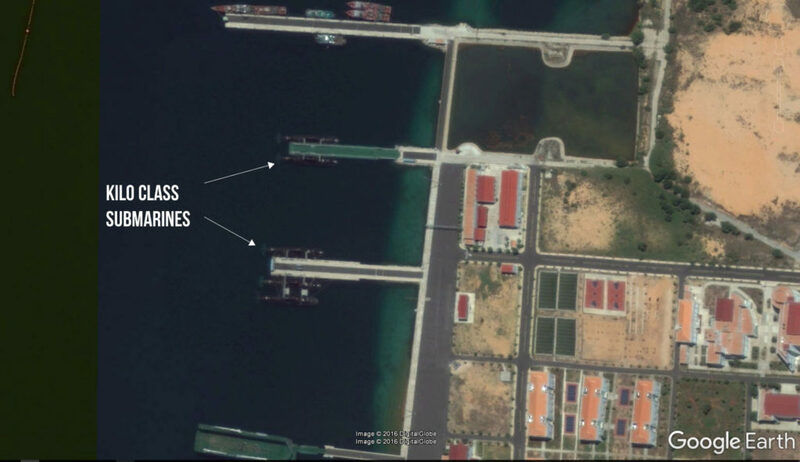 As of the present, Vietnam has opened the base to foreign ships and is considering the possibility of turning it into a civilian port, much like the Philippines did with Subic Bay when the US pulled out. Vietnam has made considerable improvements and expansion of the base from 2009 to 2016. 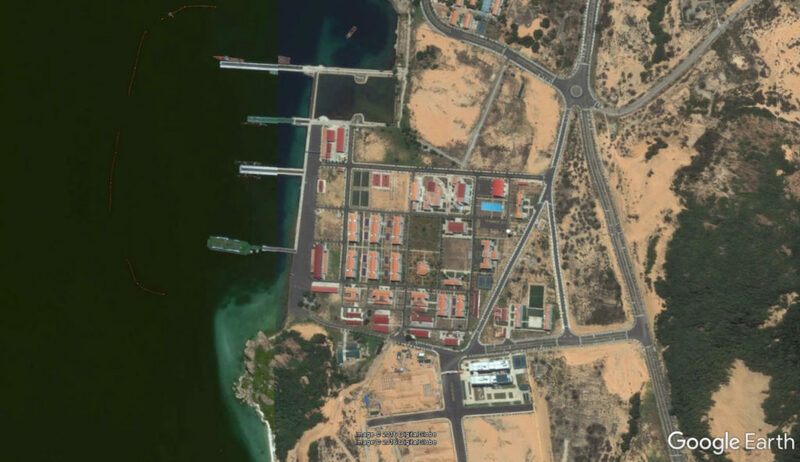 Use the slider on the image to view the expansion of the north section of Cam Rahn naval base. The South section of Cam Rahn Naval Base includes the submarine base. 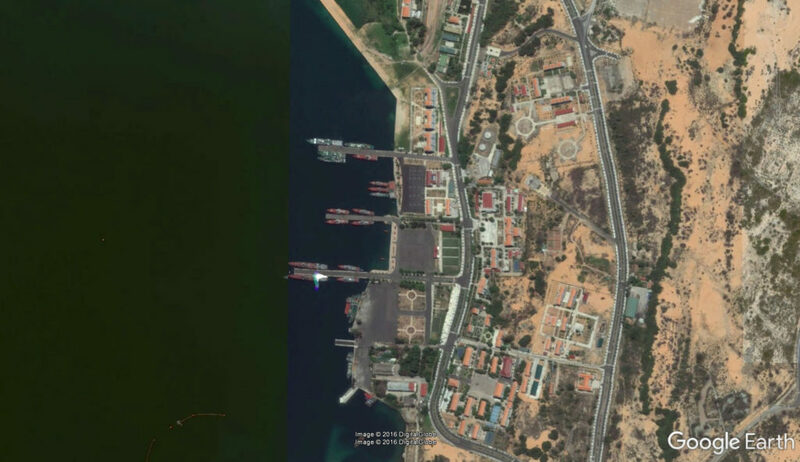 In some Google Earth imagery you can see the Vietnamese submarine fleet in port, currently consisting of 5 Kilo Class submarines purchased from Russia. It is difficult to make out all five in the photo above. 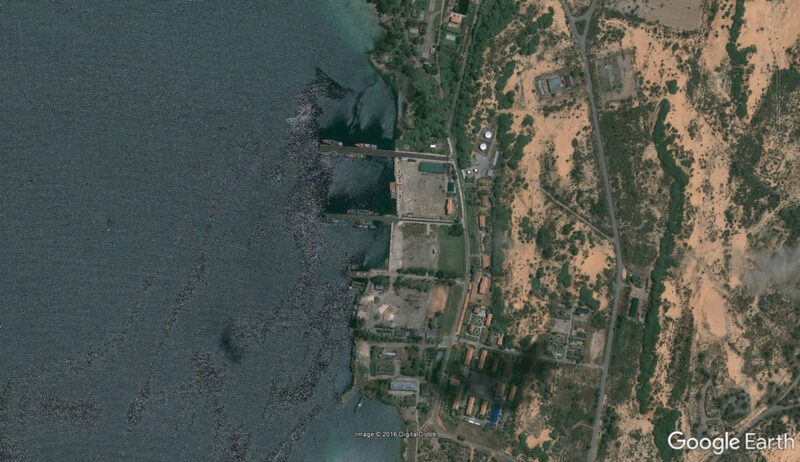 The below photo zooms in to show the submarine fleet.